The Toyota Corolla, one of the most popular family sedans in America, can be yours at an affordable price. Mercedes-Benz of El Dorado Hills carries a wide array of gently used vehicles including many recent Corolla models. The 2016 edition features an efficient 1.8L four-cylinder engine, and upgraded trims showcase high tech systems like a voice recognition and Smart Stop braking. Those upgrades will certainly keep your family connected and safe on the streets of Folsom and Rancho Cordova. 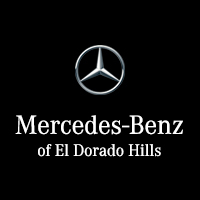 When you’re ready to experience all that this sedan can offer your family, turn to Mercedes-Benz of El Dorado Hills. Why Buy a Used Toyota Corolla from Mercedes-Benz of El Dorado Hills? The experts at Mercedes-Benz of El Dorado Hills are happy to combine a luxury car buying experience with an affordable used model. We can offer custom financing services to meet your family’s needs, and our state-of-the-art showroom is easy to find at 1000 Mercedes Lane in El Dorado Hills, CA, just a short drive from Gold River. Give us a call at 888-411-4120 to learn more about the Used Toyota Corolla, or contact us online now.